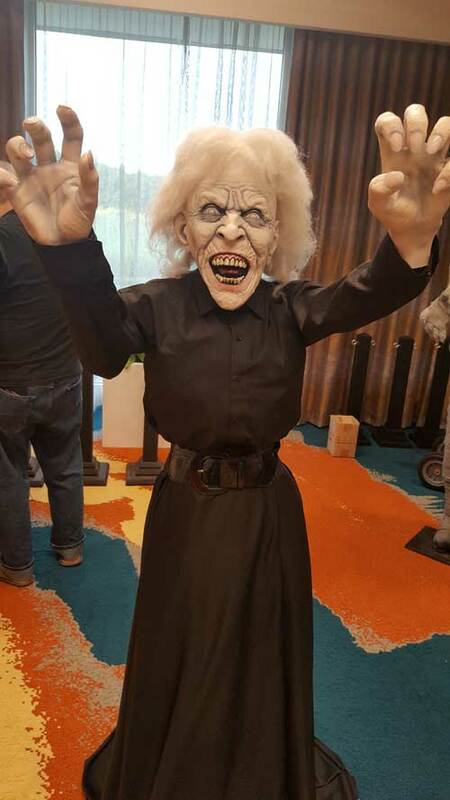 Marian at MONSTERS FROM THE VAULT in the Bash Dealer Ballroom. 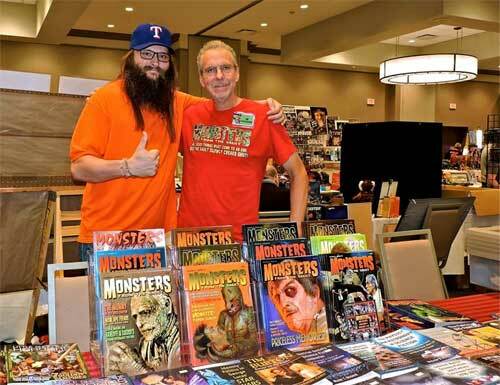 Monster Bash's Dan Weber with Monster From the Vault's Jim Clatterbaugh getting ready for Bash to begin! 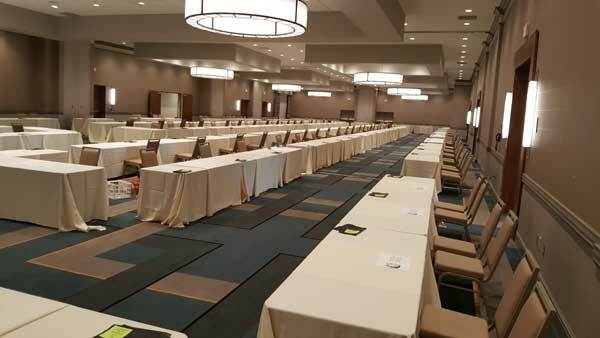 Thursday night, registration is set and ready for Bashers! 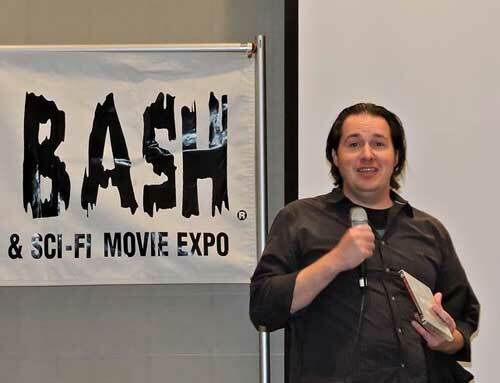 Ballyhoo Productions producer and director Danial Griffith on stage introducing his documentary on A.I.P. 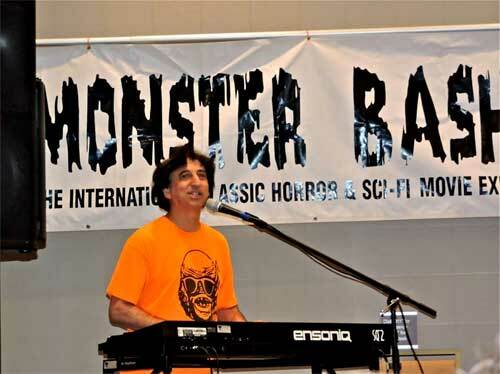 A member of the house band that entertains with great oldies on Friday nights at MONSTER BASH. 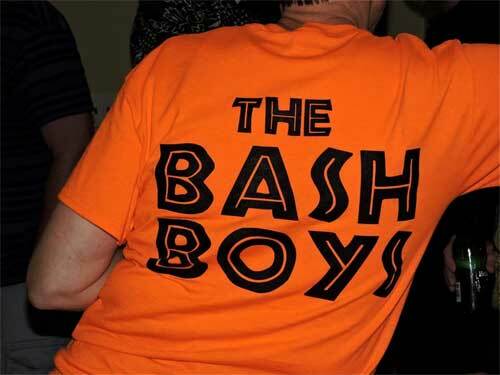 Steve Unger, keyboards and vocals for The Bash Boys at MONSTER BASH...classic oldies for Bashers! 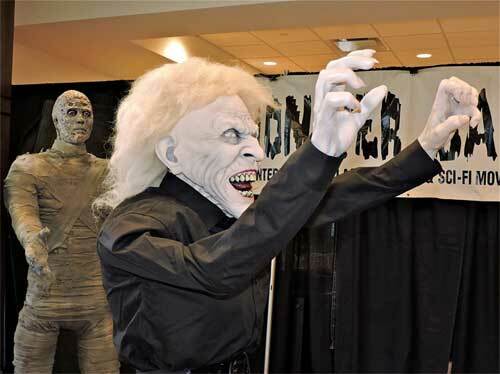 A couple of the figures that rolled into MONSTER BASH courtesy of Jerry Armellino and family! 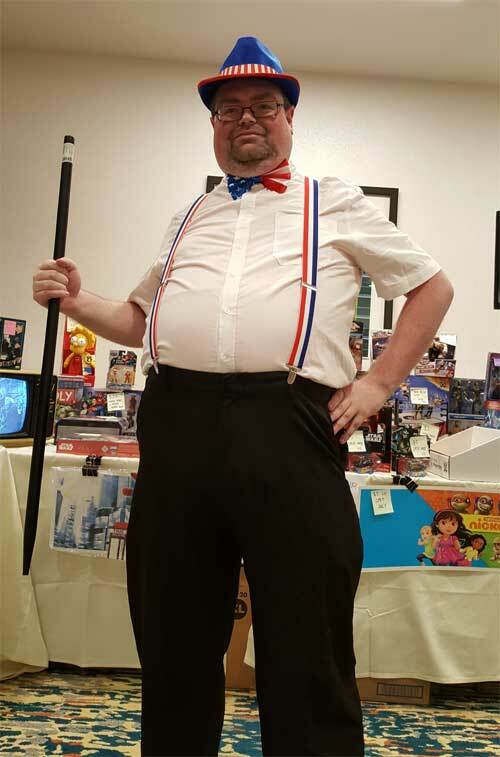 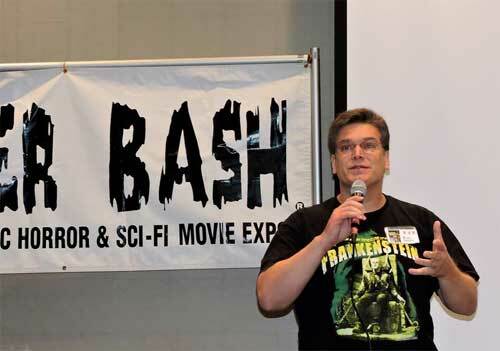 Brian Nichols introduced hos home made movies for Monster Kids everywhere! 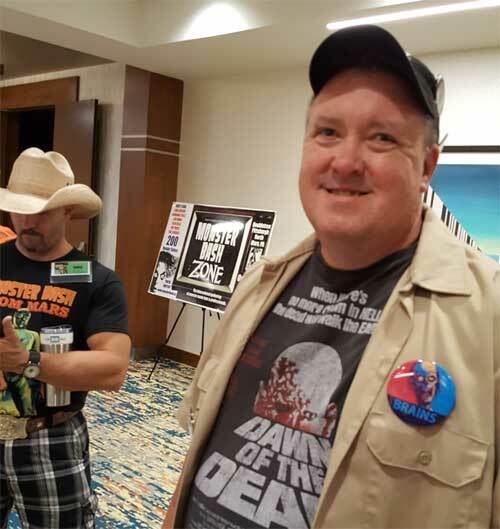 Writers Tom Weaver and Greg Mank at Monster Bash! 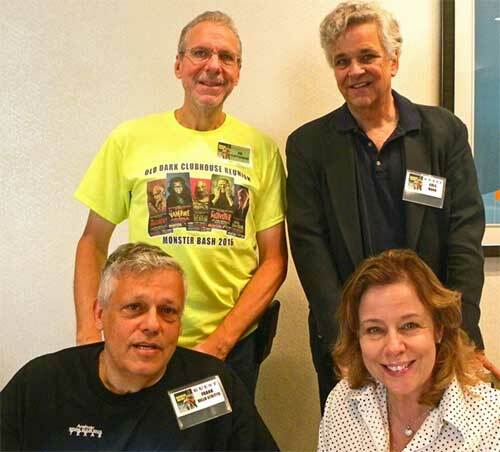 Some of the greatest names in print, clockwise from top left: Jim Clatterbaugh, Greg Mank, Linda Dello Stritto and Frank Dello Stritto. 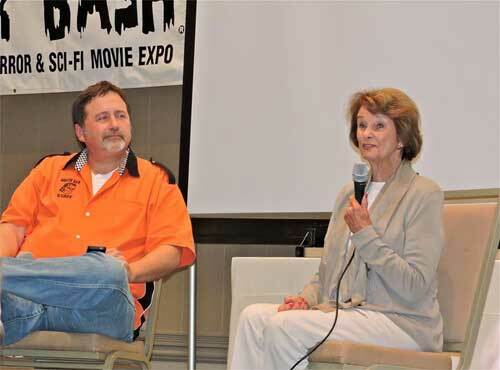 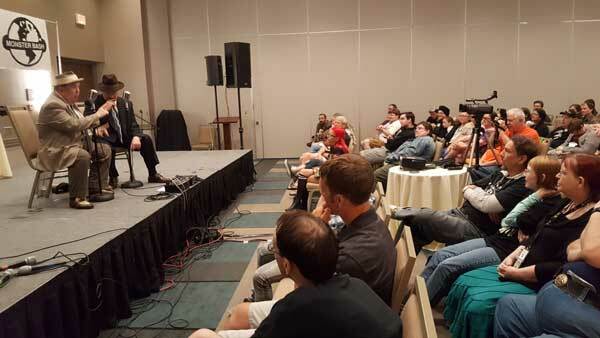 Monster Bash's Scott Goettel moderates a Q&A with actress Audrey Dalton. 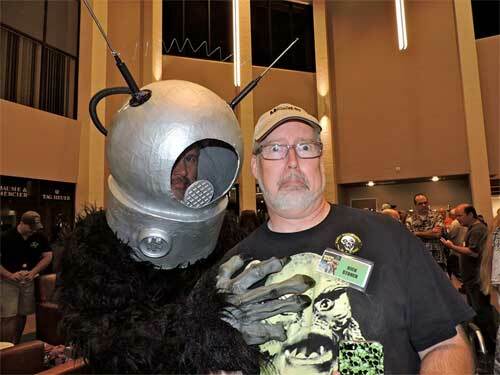 Robot Monster (Jon Doerr) and Rick Stoner in the Monster Bash lobby. 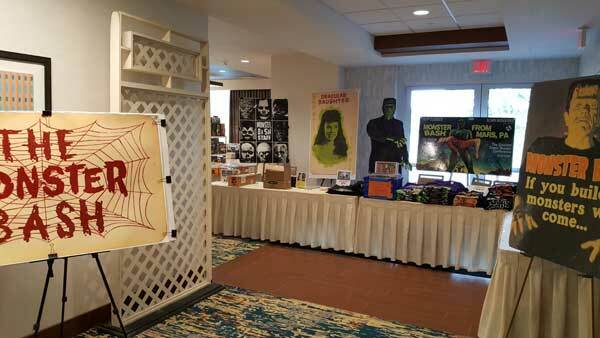 Quiet before the storm...the Guest og Honor area set-up on Wednesday night befire MONSTER BASH. 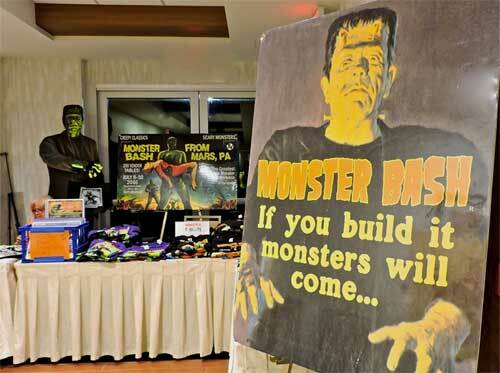 Before transforming into the greatest classic monster collectible vendor room, the ballroom on Wednesday at MONSTER BASH. 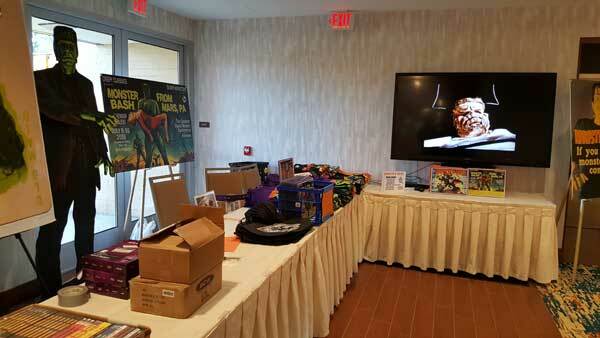 Wednesday night before Bash, this is the registration area, all set! 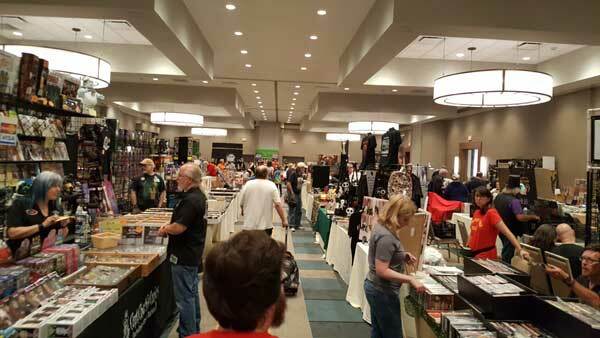 Another look at the registration area before Bash began. 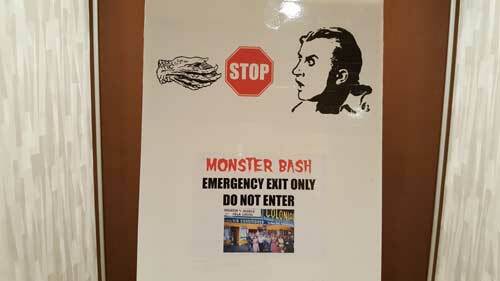 On of the many monster-friendly signs at MONSTER BASH. 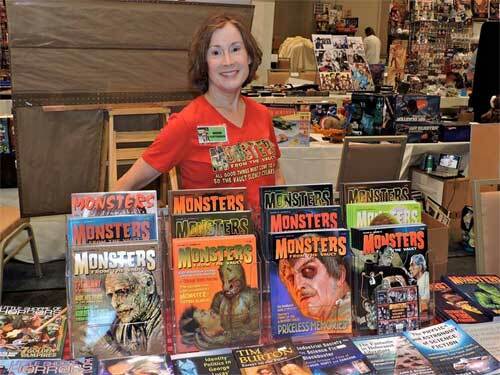 Happy Monster Kid faces everywhere! 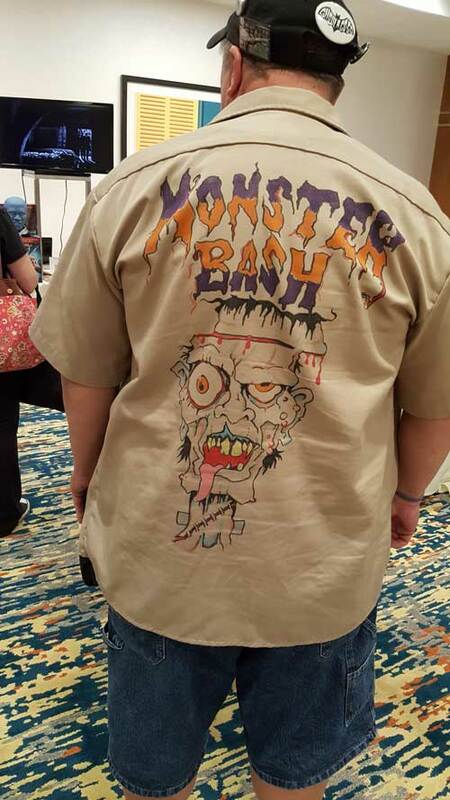 More from the Dealer Den at MONSTER BASH! 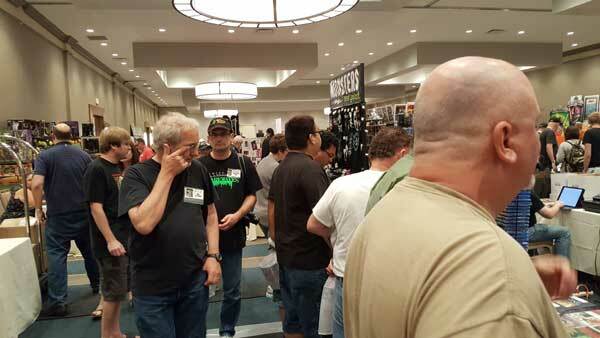 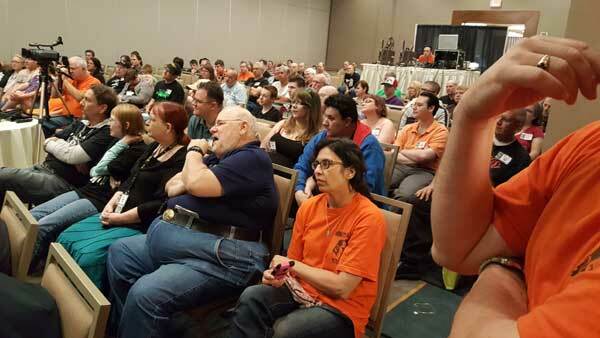 Fans shop the Cinema Wasteland tables at MONSTER BASH. 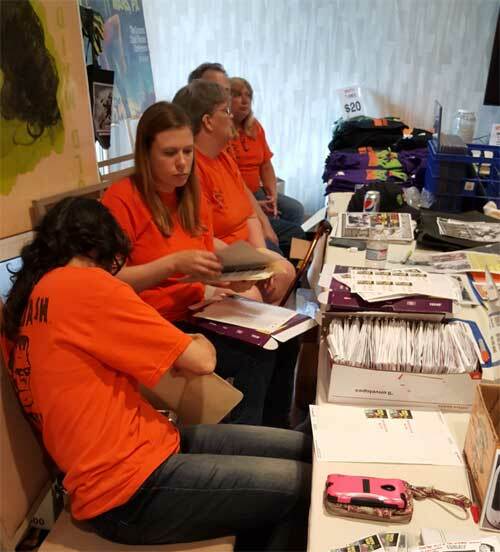 The registration team...pictured here: Ursula Adams, Kristen Armellino, Barb Heiss, Jerry Armellino and Susan Armellino. 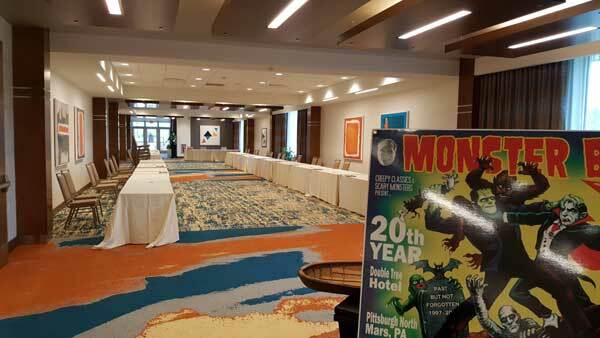 The event room at Monster Bash....just getting ready for The Ultimate Abbott & Costello Tribute Team! 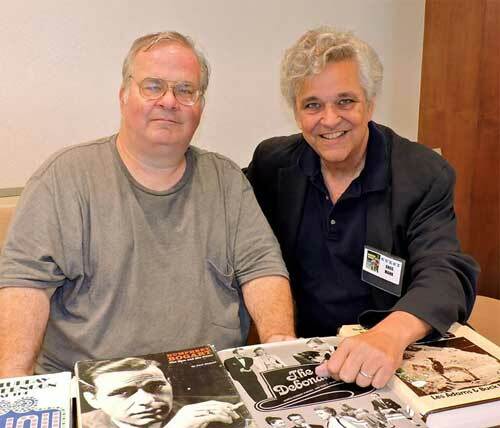 The Ultimate Abbott & Costello Tribute Team...after 30 secons you forget it's not really Abbott & Costello...but, Bill Reilly & Lou Ziegler. 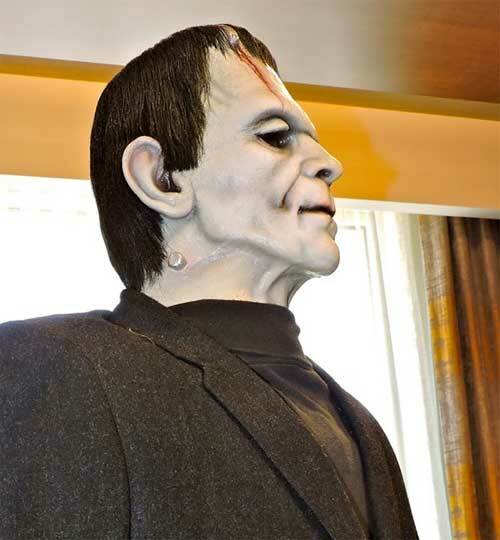 Getting ready for the Friday Night Spook Show -- Leonard Hayhurst! 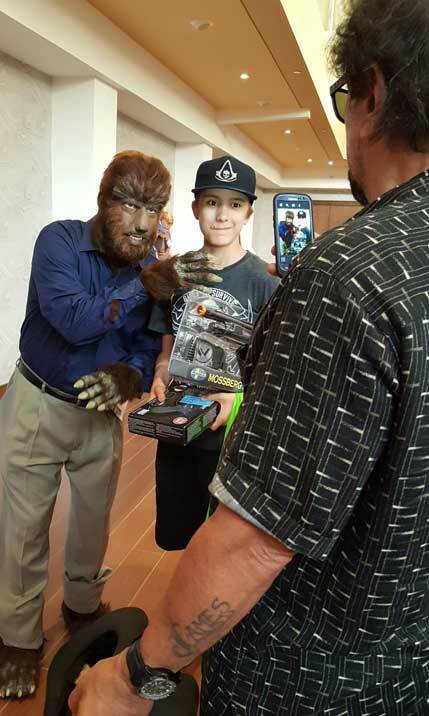 Tom Savini takes a photo of his grandson James with The Wolf Man (Charlie Arrigo in maje-up by Ron Chamberlain).